In a recent opinion piece, college instructor Michael Laser voiced dismay that most students in his freshman expository writing class couldn’t write clear, grammatically correct sentences. He lamented the fact that his university’s writing program focuses on essay-writing skills even though students have yet to master the art of writing a sentence. I agree that students should learn to write good sentences before writing essays. An essay composed of incoherent sentences will inevitably be an incoherent essay. The problem is that colleges simply assume students already know how to write sentences, just as the Common Core State Standards assume that middle and high school students have acquired that skill. But many haven’t. If elementary students engage in writing at all, it’s generally stories or personal essays. Schools have focused on encouraging students to express themselves rather than guiding them through the complex maze of English grammar and syntax. Laser mentions one writing initiative that is addressing this problem: the Hochman Method —named after its creator, Dr. Judith C. Hochman — which has produced positive results in a number of K-12 schools, including a previously low-performing Staten Island high school. Laser describes the Hochman Method as a “program of rigorous grammar instruction.” That’s a phrase that may bring to mind grammar drills and sentence diagramming. As the board chair of The Writing Revolution, the nonprofit that disseminates the Hochman Method, I’d like to clarify that our approach involves neither of those things. Many people believe, understandably, that teaching grammar is the key to instilling writing skills. But for decades, research has consistently shown that formal, isolated grammar instruction has no effect on the quality of students’ writing. That doesn’t mean, however, that teachers should simply ignore awkward writing and garbled sentences. Research has also shown that what does work is to use students’ own writing as the context for teaching grammar and syntax. That’s the approach that underlies the Hochman Method. Students may need to be introduced to basic concepts, like subject-verb agreement, in an abstract way, but they won’t internalize those concepts unless they actually use them. Almost inevitably, they will make mistakes, which teachers must consistently flag and explain, enabling students to make corrections. The Hochman Method includes the essay-level skills, like developing an argument, that Laser and other college writing instructors are supposed to focus on. But it starts with a graduated series of sentence-level exercises that prompt students to write while simultaneously providing guidance and structure. One powerful strategy is to have students combine two or more short sentences into one longer sentence, using conjunctions or subordinate clauses. Another is to give students a stripped-down sentence—”They protested,” for example—and have them expand it into a longer sentence with details from their reading such as who, where, when, and why. If college administrators truly want to equip students with the skills they need, they’ll find a way to implement coordinated, faculty-wide writing efforts rather than asking adjunct writing instructors to perform miracles. Through repeated practice, students become adept at using more complex syntax and diction than they’re likely to encounter in spoken English. At the same time, teachers ensure that students are following the conventions of grammar, punctuation, and capitalization. It’s easier to correct those mistakes in the context of a single sentence than a longer essay, which may be riddled with errors. As Laser says, the Hochman Method is designed to be “schoolwide and immersive,” because that’s what it takes. Writing instruction isn’t confined to English class. History, science, and sometimes even math, foreign language, and PE teachers all embed the strategies in the content they’re teaching. Because the writing exercises are connected to the curriculum, they simultaneously boost students’ comprehension and prompt them to analyze what they’re learning. The Writing Revolution is currently partnering with 24 schools in New York City and Washington, D.C. that have undertaken a commitment to coordinated writing instruction across the curriculum. When implemented faithfully, the method has produced improvements not only in students’ writing, but also in their reading comprehension, speaking, and analytical thinking. Clearly, there’s also a need for the Hochman Method at the college level: 62 percent of college instructors say they’re dissatisfied with the job public schools do in preparing students for college-level writing. But we at The Writing Revolution have decided to focus our limited resources where the need is greatest: K-12 schools primarily serving low-income students. Laser is to be commended for trying to find solutions to a serious issue at a time when many are looking the other way or throwing up their hands. But given the complexity of the problem, a twice-weekly college expository writing class is unlikely to produce significant improvements, no matter how skilled and dedicated the instructor. If college administrators truly want to equip students with the skills they need, they’ll find a way to implement coordinated, faculty-wide writing efforts rather than asking adjunct writing instructors to perform miracles. If they don’t, we’ll almost certainly continue to produce legions of college graduates who can’t write a clear, grammatical sentence. 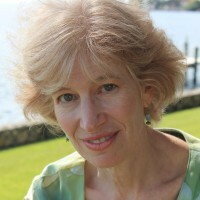 Natalie Wexler, board chair of The Writing Revolution, has been a volunteer writing tutor in a high-poverty public school in Washington, D.C. Her articles and blog posts about education have appeared in The New York Times, The Washington Post, Greater Washington, and on her blog, DC Eduphile.